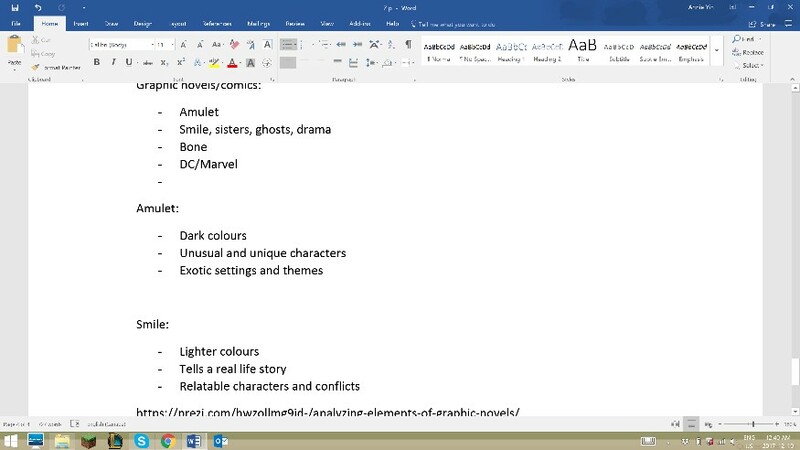 I used last class to research the basic knowledge of graphic novels, took notes on the differences between comics and graphic novels, and looked up some famous graphic novels for me to read. I read and evaluated a few pages from popular graphic novels such as Amulet by Kazu Kibuishi and Smile by Raina Telgemeier, and I also used my time to put a hold on some graphic novels from the Coquitlam Library for me to pick up later. I struggled with finding useful information since most sites just contained info that went off topic or they weren’t detailed enough. S T A R – Relatable. My sources didn’t have specific information either. 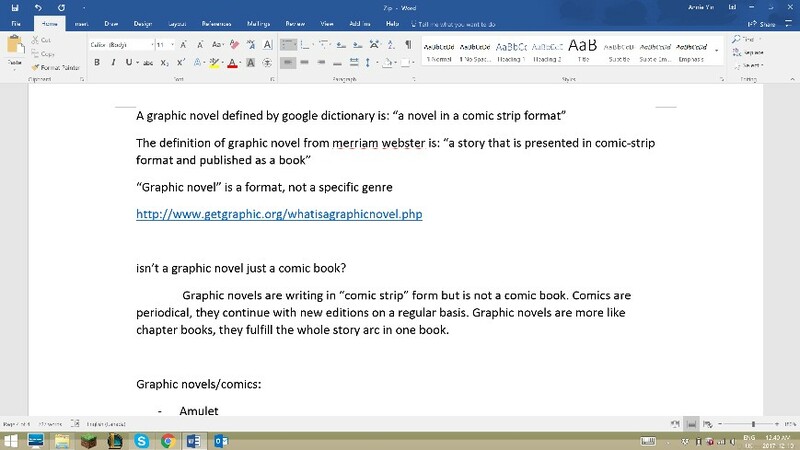 Still, your topic is very interesting and it offers a large variety of styles and genres. Q U E S T I O N – Are you doing a whole overview of general graphic novels? Or a specific group of graphic novels? There are many different art styles, colour themes and story genres that are full of different information and specific rules. Q: How does colour/tone effect how a graphic novel is read/viewed?